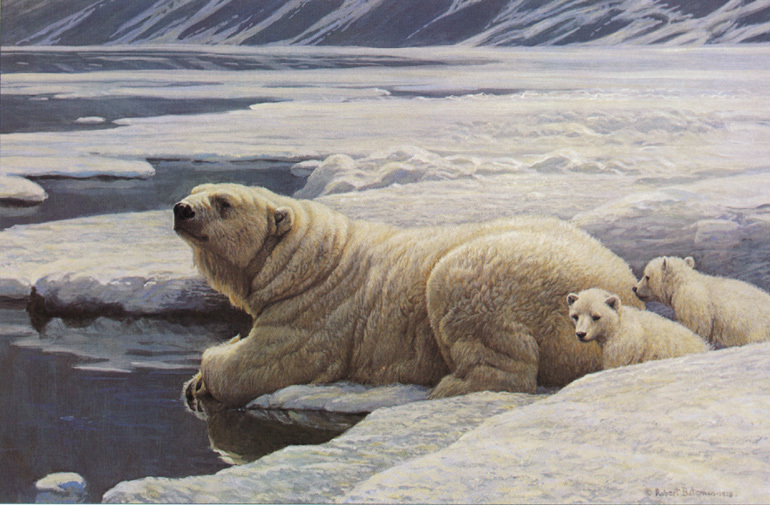 At the edge of the sea, this arctic family pauses before venturing into the real world of the polar bear. This is the world of sea and pack ice. Polar bears are completely at home in the sea with their waterproof fur and broad, flat feet furred almost to the toes.